Its raining cats & dogs here in York today!! 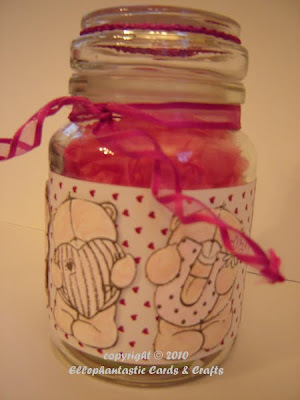 I have recycled a Douwe Egberts coffee jar to make this Valentines sweetie jar. At the moment it only has pink tissue in it as I don't have any sweets! Those are really pretty Helen. 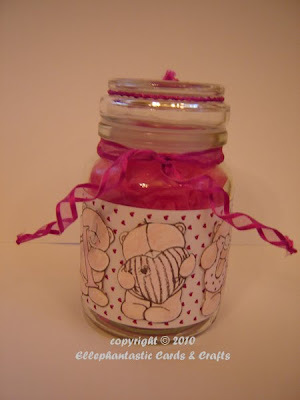 Thanks for joining us at Crafty Creations with your LOVELY work!! 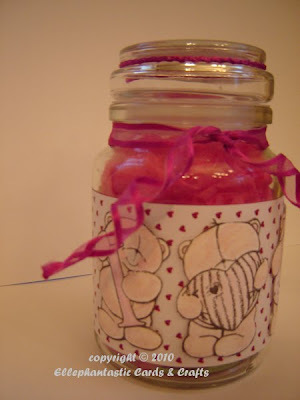 Supercute project. I'm so glad you joined the DCD challenge this week and good luck. Helen this is brilliant and a lovely gift. Thanks for joining us at DCD. 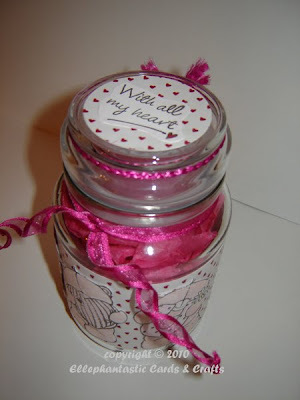 Helen this is gorgeous sweetie, these jars are perfect for altering, its the only reason i buy the coffee lol. You have done a fantastic job. Thankyou for joining in the DCD challenge this week. This is the best looking jar of Douwe Egberts I have ever seen. What a wonderful gift this will make Helen, those wee teddies are adorable.